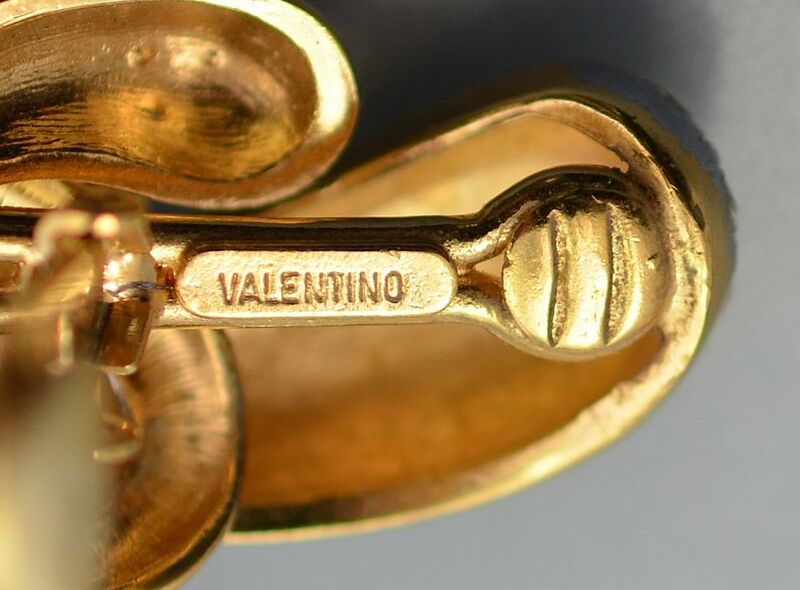 These dramatically classic clip earrings were made by Valentino, the Italian haute couture house probably in about the 1980s. The top clip section is in gilt metal pave set with white paste. This section intertwines with a gilt metal link that in turn intertwines with a twisted bow shaped gilt metal section pave set with white paste. This bow forms the top for the large cream tear-drop shaped faux pearls. Signed. 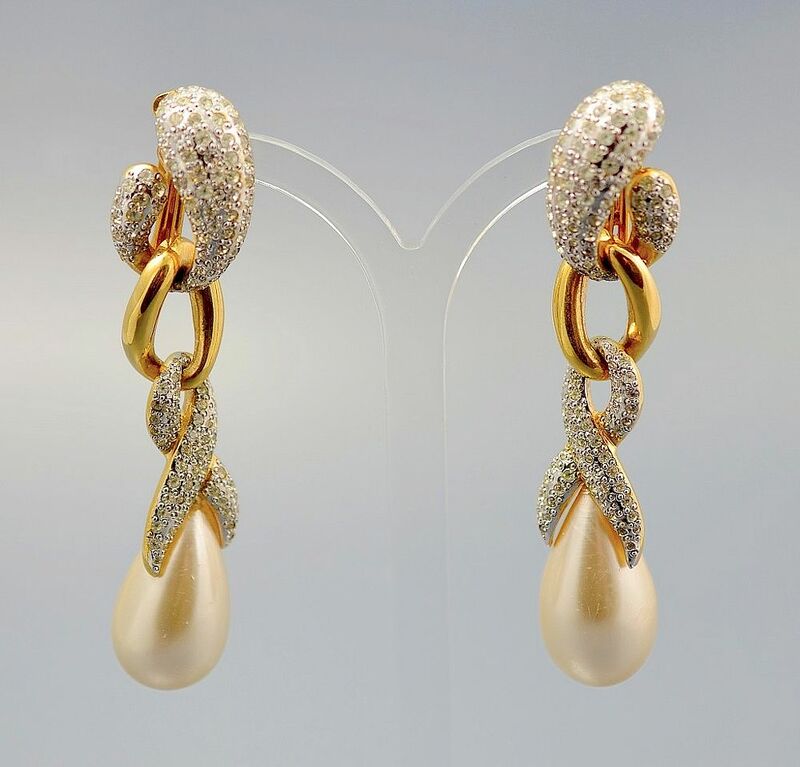 To my mind, these are one of the most fabulous pairs of earrings that we have ever had - wear them smart or casual no other jewellery is necessary!